Lenox Disney Little Mermaid Limited Edition only 1989 made worldwide, represents the year the movie was released. The sculpture is crafted of ivory fine china, painted by hand, and accented with pure 24 karat gold. 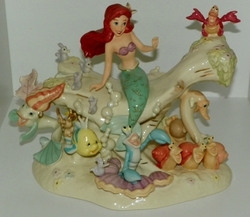 Displays both the Disney and Lenox hallmarks. Condition: Pre-owned, original owner, displayed in enclosed case, in excellent condition, no cracks, crazing, chips or repairs. Beautiful piece from my collection that I am downsizing now. 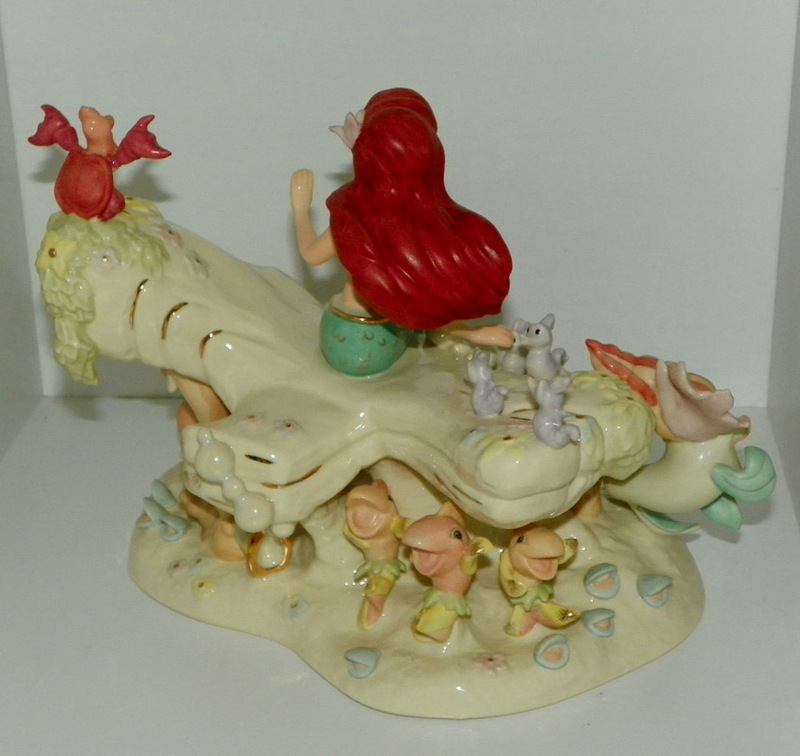 �Must have for any Disney Little Mermaid collector. �Please note because of the size of this figurine and box, we cannot combine shipping with any other item on this purchase.